Northern California has much to offer - food, wine, culture, spectacular outdoor recreation and travel opportunities - and UC Davis is in the middle of all of it. From the Napa Valley to Lake Tahoe, learn more about the many offerings you'll find in Northern California. 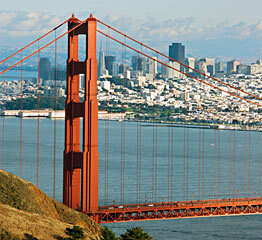 One of the most beautiful cities in the world, San Francisco is just over an hour's drive west of Davis. There are many things to do and see in San Francisco - dine, shop, sightsee, visit famous sites like the Golden Gate Bridge, Union Square, or Chinatown. The links below are excellent resources for planning your visit to the city by the bay. Connected to San Francisco by the famous Bay Bridge, Berkeley is a diverse and vibrant city about an hour's drive west of Davis. Whether you're looking to whale watch, explore a lighthouse, hike nature trails, or enjoy breathtaking vistas, Point Reyes is not to be missed. A popular weekend camping trip for King Hall students, Point Reyes is about a two hour drive from Davis. 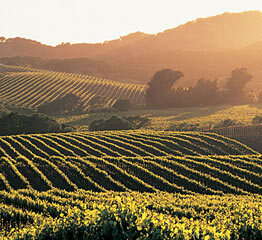 The Napa Valley is home is California's world renowned wine industry. About an hour's drive west from Davis, the wine country offers a wide variety of dining, shopping and spa opportunities - not to mention some of the world's best wine tasting. 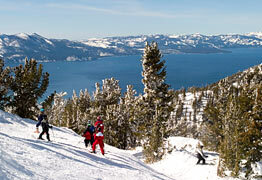 Tahoe has something for everyone, whether it's world class snowboarding and skiing, hiking, or getting married! You can reach Lake Tahoe in less than two hours by car from Davis. Yosemite National Park has a well-earned reputation as one of the most stunning, unspoiled wilderness parks in the United States. Known for its beautiful waterfalls, deep valleys, and ancient giant redwoods, a visit to Yosemite is an unforgettable experience. Yosemite National Park is a four hour drive from Davis.